This piece is entirely handmade to order, with love and a completely individual piece. It has been created from the softest, luxe macrame cotton you can find! 100% pure cotton and driftwood pieces I have personally collected. 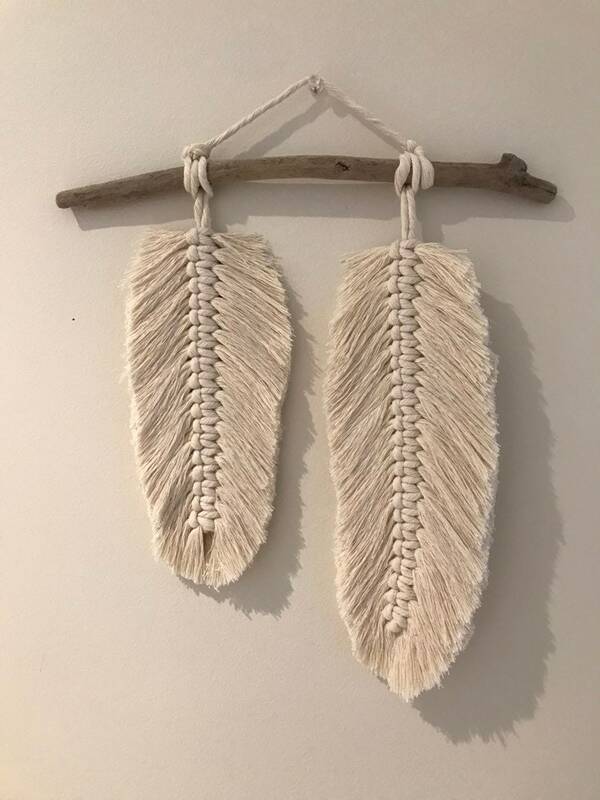 This beautiful soft and luxe cotton Macrame feather / leaf wall hanging is the perfect addition to your home! Use on your picture wall? Or to add another dimension to a art piece. Not a toy. Al pieces vary as they are made to order and by hand! Drift wood pieces come in different shades and with different patterns and effects as created by Mother Nature. 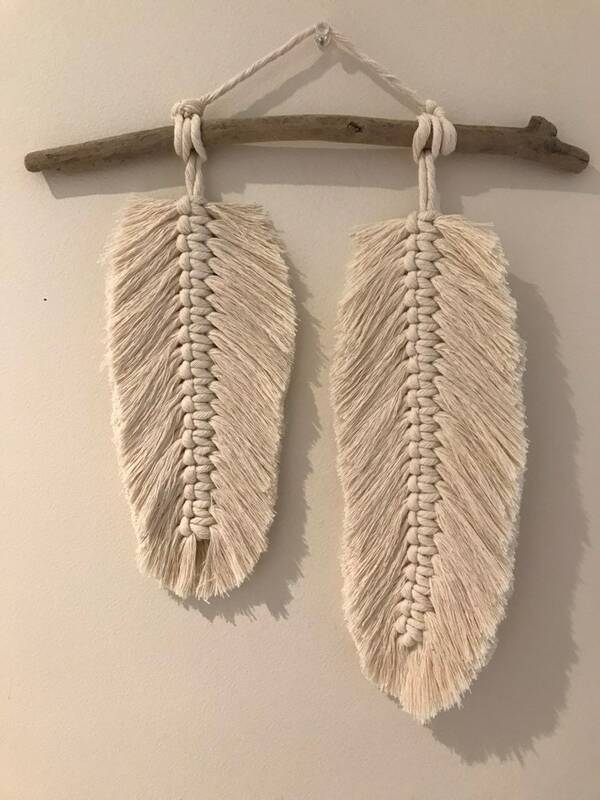 On receiving your feather wall hanging, hand up on the wall or lay on a flat surface and take a comb or brush and very gently comb the feather downwards on each side to it falls into place. I then press it flat with my hand to make it hold its shape.